We wanted to let you know that the Oboe was absolutely perfect! It came right into tune and there were only about six notes that needed a touch of regulation. Even in the unair-conditioned chapel at 30 degrees C it was very happy (we tuned the organ sharp so it will be closer to A=440 when it cools off a bit). ​The blend, balance and tonal color were perfect with the other ranks. Our tonal director, Mark Miller is a total anglophile and he loves the authentic English oboe sound you provided for our organ! Many thanks to you and all of your team who had a hand in it! Keep up the great work. 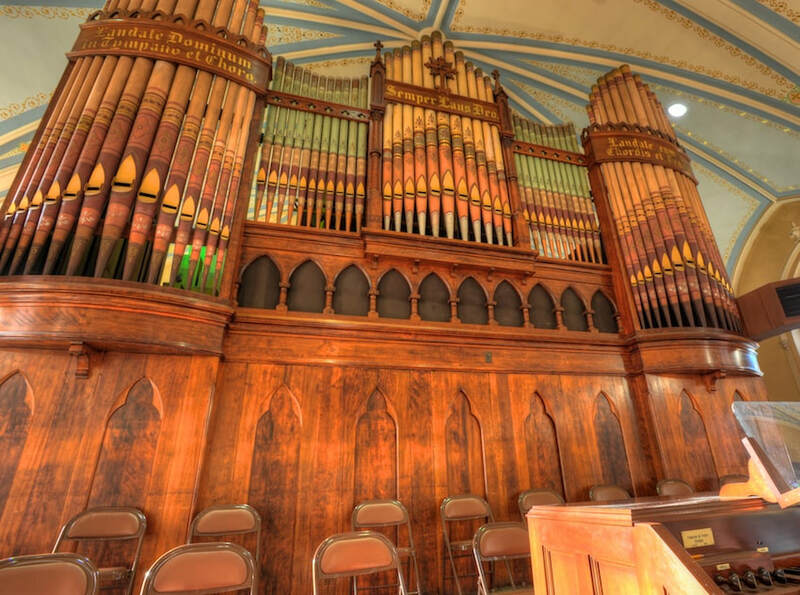 Terry Shires writes: We made the oboe for a two-manual organ in Sewickley Presbyterian Church, Pennsylvania, left. It was voiced by David Frostick. For over 15 years I have been fortunate to voice many thousands of flue pipes from the Shires workshop – and all of consistently superb quality. The flue pipes at Manchester Cathedral, including all the display pipes, are from Shires and it has been a real pleasure to work with Terry and the team on such a large project. We have used Shires Organ Pipes for over 10 years. Shires has always been very responsive to the demands/specifications which our firm makes regarding different styles and period detailing, appropriate for each new project. The team handles historic pipes with great sensitivity and can in our experience be trusted to restore pipes with a minimal loss of original material. 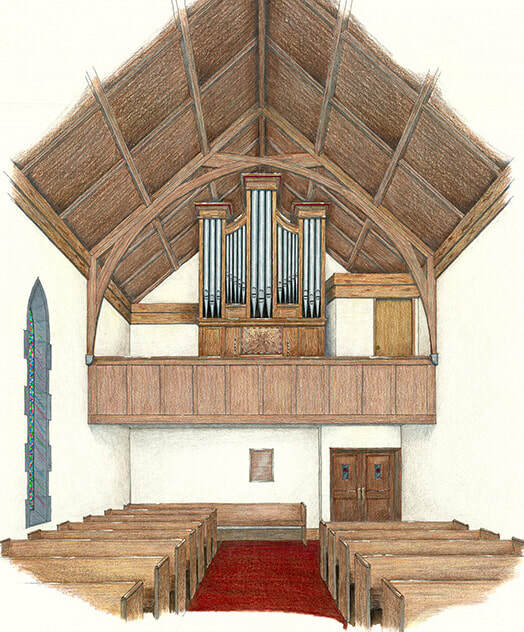 The pipes are a joy to voice and the results are plainly evident in our new organs, restorations and reconstructions. 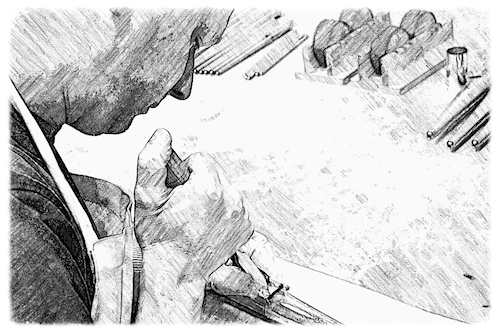 At Nicholson we have our own pipe shop with Richard Sanders at the helm. With over 45 years of experience with us we are tremendously lucky and proud of him. However, there are only so many pipes he and his assistant are able to make and therefore it is a great privilege for us that Terry Shires and his fabulous staff make a large proportion of our new pipework. Shire's pipes are, in my opinion, some of the finest in the world. Terry is so very easy to work with and keen to experiment with different scales and materials to deliver exactly what we are after. The quality of the pipes is exceptional and they virtually voice themselves. If there is anything we want to change or would prefer done differently, Terry obliges. I cannot recommend him or his fantastically talented craftsmen enough. We look forward to placing further orders with each new and exciting project we work on. 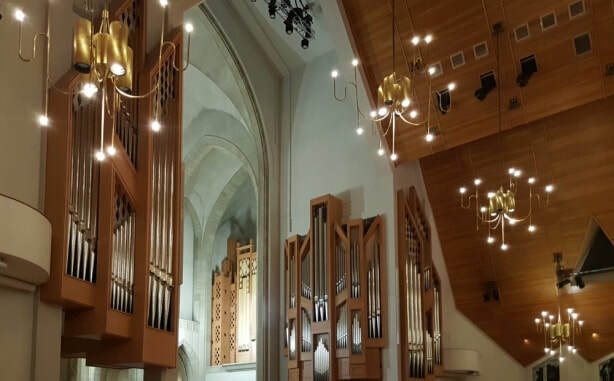 Terry's pipes can be found in our new organs at Llandaff Cathedral, Dean Close School and Auckland Cathedral, all brand new Nicholson Organs. I'm now semi-retired, but after years of voicing and observing new pipes, it's very evident that the pipes Terry and his dedicated staff produce are of the very highest quality. The inclusion of their work in many important instruments is a testament to this. Today we received some excellent new pipework from Terry Shires, made to match missing or damaged trebles of the Oboe and Dolce Cornet stops on our Farrand and Votey restoration in Louisville. Beautiful things! The Dolce Cornet re-uses upper work from an 1850s Koenken and Grimm organ. Terry Shires and his crew did a great job matching the mouth form and other construction details. Right: The facade of the rare Farrand and Votey organ in St. Martin of Tours Catholic Church, Louisville, Kentucky. I have been purchasing all my metal pipework from Terry Shires and his team for nearly 15 years. In that time I have had nothing but total satisfaction in service and quality. It is always a pleasure to do business. 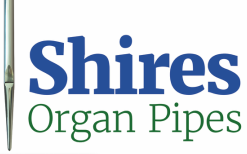 Shires Organ Pipes Ltd, is without doubt the premier maker of organ pipes. We have been thrilled with each pipe crafted for us, over the years and the inherent quality is consistently outstanding. The Shires craftsmen are dedicated to their skill, being evident in the exquisite pipework they craft; homogeneous to the works of J.S. Bach; each pipe, each note, a quintessential work of art. Chris Shires has made a variety of ranks for us to an exceptional standard. It is truly rewarding to be able to voice these pipes and we congratulate him highly. He follows in the masterly manner established by his father and colleagues. Outstanding craftsman truly dedicated to their art! Very nice people as well! Unsurpassed in their field.